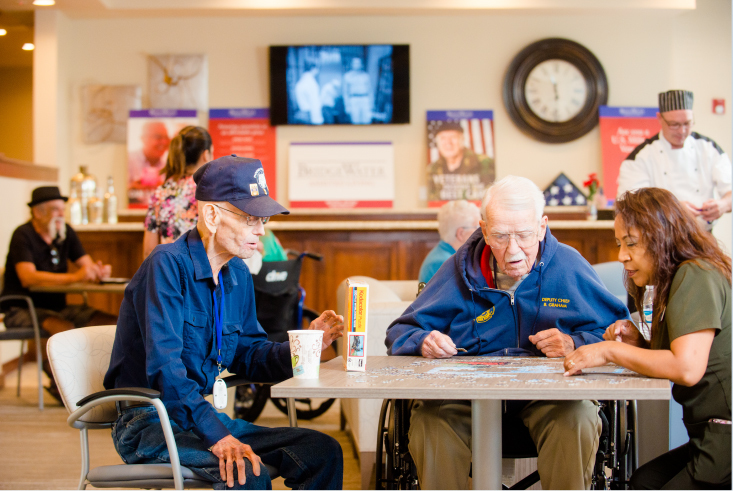 At BridgeWater Assisted Living, we appreciate the brave men and women who made it their mission to serve our country. It is our heartfelt honor and privilege that we have the opportunity to serve those who served us. Many senior Veterans may be able to pay for assisted living expenses through their (VA) Pension Benefits. We’re here to help, every step of the way. Our Community Benefits Advocate can assist you with additional resources: simply call 602-281-9535. For more detailed information on Veteran pension benefits, programs, and qualifications and how to apply for the Veteran’s pension, visit the U.S. Department of Veterans Affairs website www.benefits.va.gov/pension or call 1-800-827-1000. You can also write to the Pension Management Center that serves your state, or visit your local regional benefit office to file your request.